Quoizel Lighting Stonington Collection 1-Light outdoor wall lantern in palladian bronze finish, features coastal armour construction. A clear water glass shade brings elegance to the home. This lantern uses 100-Watt A-19 or 23-Watt CFL lamp that has voltage rating of 120-Volts. 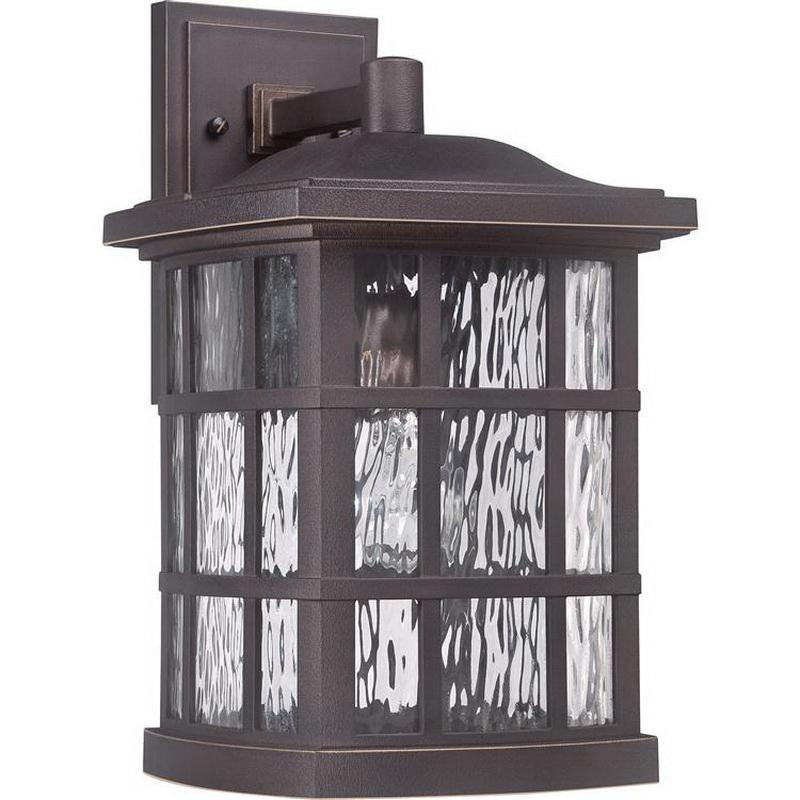 Wall mountable lantern measures 10-1/2-Inch x 9-1/2-Inch x 15-1/2-Inch. It has 10-1/2-inches of extension from the wall and comes with base backplate measuring 4-1/2-Inch x 8-Inch. It comes with 6-Inch lead wire for hassle-free installation. Lantern is cUL, ETL wet listed.